New Joma Jewellery a little YOU WILL BE MISSED Silver Bracelet, featuring the prettiest rose gold plated concave flower charm on a silver plated beaded bracelet. 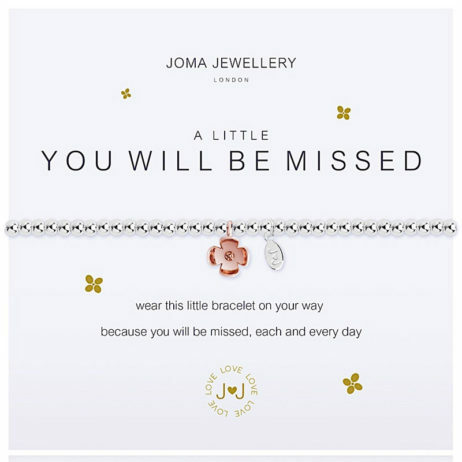 This bracelet is beautifully presented on a Joma Jewellery card which reads ‘a little YOU WILL BE MISSED wear this little bracelet on your way because you will be missed, each and every day’. Makes an ideal leaving gift for that special someone. New Joma Jewellery a little YOU WILL BE MISSED Silver Bracelet, featuring the prettiest rose gold plated concave flower charm on a silver plated beaded bracelet. This bracelet is beautifully presented on a Joma Jewellery card which reads ‘a little YOU WILL BE MISSED wear this little bracelet on your way because you will be missed, each and every day’. A truly thoughtful farewell gift can be found in this a little You Will Be Missed bracelet. Adjustable, stretchy design, one size fits most adult wrists. Perfectly packaged in a gorgeous, white gift bag tied with a silk bow and gift tag from Lizzielane with Free UK delivery on all orders. Made a beautiful leaving present. Came quickly and nicely packaged. Really pretty little bracelet, nicely packaged, which was a very well received gift. Really beautiful bracelet. as always excellent prompt delivery from LizzieLane . Joma Jewellery a little, Joma Jewellery New Collection, Gift Ideas, Gifts £0 To £20, Jewellery, Bead Bracelets, Bracelets, Heart Bracelets, Silver Bangles, Silver Bracelets, Joma Jewellery. 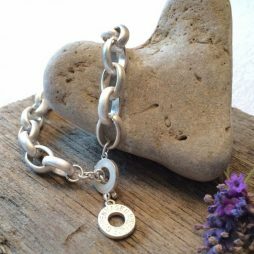 Don’t save this piece of jewellery for best… when it comes to owning this wonderful chunky Sence Copenhagen Essentials Silver Plated Bracelet you will what to wear it everyday. The Joma jewellery a little thank you bracelet for bridesmaids is perfect way to say ‘to my beautiful bridesmaid this is to say, thank you for helping me tie the knot today’. The sensational Danon Chunky Double Heart Bracelet brings effortless style to any outfit. 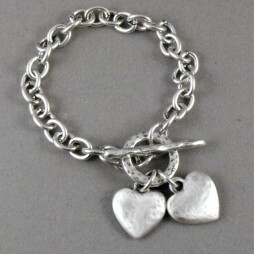 Extremely tactile with 2 gorgeous silver hearts on a chunky links style bracelet.